They met in the Magic Kingdom and found domestic bliss in South Park. Now you can tour their ‘home in the trees’ — and four inspirational others — during the Old House Fair home tour on June 17. But with the overheated real estate market, she had her doubts. “I thought, ‘It’s probably already in escrow, it’s such a great house,’” she recalls. But as it turns out, it wasn’t in escrow. The Buntings put in an offer. That was last fall. They closed in early November. The couple found each other in similarly serendipitous circumstances — or so it seemed — at a conference for insurance professionals at Disneyland. He was from Utah, she from South Park. 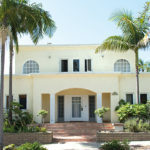 He was living in a brand new mansion (by Southern California standards) sitting on a third of an acre. She was in a tiny bungalow on 30th Street. She handled construction defect litigation. He handled commercial liability claims. So it might seem surprising that they met in the Magic Kingdom, hit it off immediately and, before you know it, got married. What are the odds of that? The house is in a world of its own, up above the street. Despite its charms, the house had been neglected in recent years. A longtime owner had died in the house, and then was a rental for three years, before going on the market. The previous owner was something of a colorful neighborhood fixture, with a tortoise that wandered the woodsy grounds. But once Tyler and Tracey moved in, they realized those trees were getting water from a previously unknown source. “We knew some of the plumbing was bad,” Tyler said. “Our contractor opened every faucet and went under the house to look. It was like Niagara Falls under there.” And it wasn’t just the supply lines that were leaking. The sewer lines were dripping into the crawl space as well. “Maybe they didn’t open every faucet at once,” Tyler said. If the black water invasion wasn’t enough, when winter came they discovered the roof leaked too. They had water above and water below. It was a disaster of nearly biblical proportions. One fateful day this spring, the Buntings heard a knock on the door and found two representatives of the Old House Fair on their front porch. 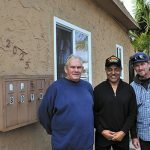 “Those two ladies just came up and knocked on our door and asked if we were interested in putting our house on the tour,” he said. It didn’t take much back and forth before Tyler and Tracey decided, sure, why not? “Especially when they said there would be a write-up in the brochure, and we’d get to learn about our house’s history.” Artist Brandon Hubbard will also paint portraits of each house, which the tour organizers frame and give to the homeowners. For decades, old house tours have been a staple of the neighborhood preservation scene. Preservation groups have used them as an education tool and an income stream, as well as an outreach to acquire new members. 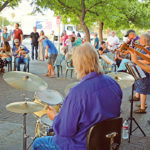 But the income stream has turned to a trickle, and preservation and homeowner groups are getting spread thin with lawsuits from developers and other projects, such as efforts to preserve murals, landscaping, freeways and fountains. 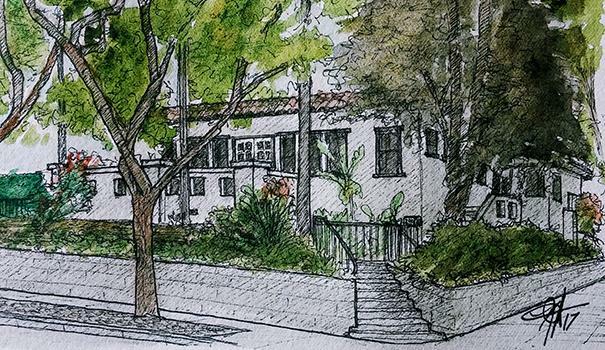 Save Our Heritage Organisation, which for many years hosted an annual house tour, also has a number of historic properties to maintain — including in Hillcrest, Old Town and Santa Ysabel. For now, the Old House Fair organizers are sticking with their mission of educating homeowners about how to restore, preserve and carefully modernize old houses, even if the event itself is undergoing a lot of change, with new management and a beer garden. The tour this year remains local, the houses attainable — at least in San Diego housing market terms. 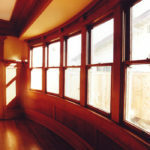 For homeowners and home buyers, the tour provides real world examples of how old houses can be restored and maintained, as opposed to browsing internet real estate listings photos, which show how to appeal to the broadest possible audience of homebuyers, or how to ruin a valuable historic house like a flipper on TV. As in years past, the Old House Fair will feature booths with experts ready to answer questions and help homeowners restore their houses. Tracey and Tyler don’t plan to shop for a restoration contractor anytime soon, however. “I think we’re done,” Tyler said. “With the expense of the plumbing and the roof, I can’t think of anything we want to do.” But what about prepping for the home tour? Any last minute staging, editing, window washing? The Old House Fair and Home Tour is scheduled for Saturday, June 17, from 10 a.m.–4 p.m., at the corner of 30th and Beech streets in South Park. Advance tour tickets are $25. Day-of tickets are $30. The fair events are free. 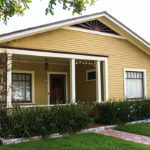 For more information, go to oldhousefairsd.com.